In the budget proposal for 2015, the White House included a stipulation to raise the current Federal tax credit for electric cars. Currently, the Federal government offers a tax credit of $2,500-$7,500 to buyers of new plug-in cars/electric vehicles/plug-in hybrids. And if the new budget proposal is approved, the new incentive will be up to $10,000. Moreover, the new proposal also expands the credit to other types of green vehicles such as cars and trucks powered by natural gas (or hydrogen). Interestingly, the budget proposal suggested the conversion of the tax credit into a rebate applied before purchasing the vehicle. This is the second time President Obama proposed these savings, after the previous deny in 2012. “If you run, you stand a chance of losing. But if you don’t run, you’ve already lost,” said Mr. President. Back in 2011, President Obama had set a high goal, which targeted 1 million plug-in electric cars on U.S. roads by 2015. 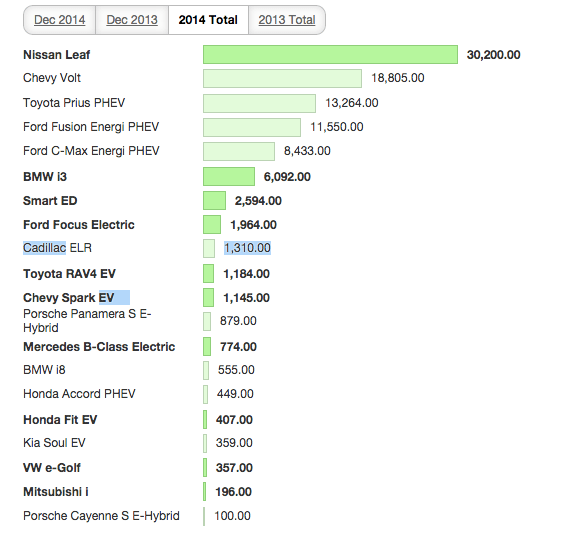 Through Jan 1st, 2015, the U.S. has around 280,000 plug-in electric cars, and the sales of EVs and hybrid were up to 58%. With several attractive electric cars hitting the market in 2015, and availability of several models expanding, I think 2015 will be a good and exciting year. 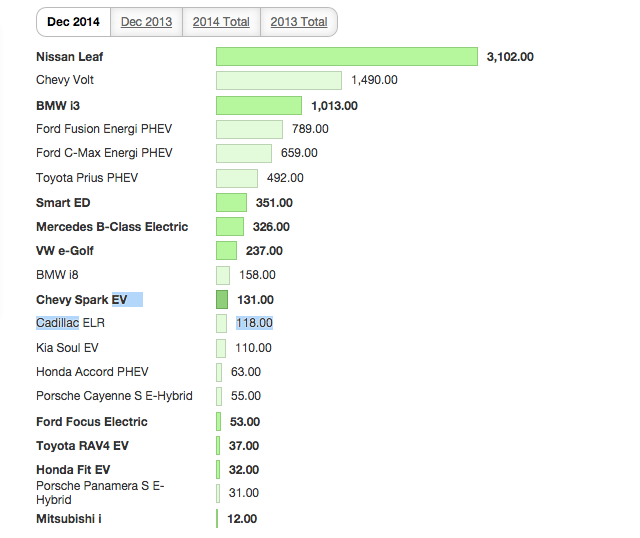 For your comparison of all kinds of EVs and plug-in hybrid models that are available, here is the spreadsheet.